If you are a first year medical undergraduate student at a Canadian university and are considering a career in psychiatry, the Psychiatry Summer Immersion Program was created for you! The program provides an opportunity to explore the field of psychiatry and engage with psychiatrists and psychiatry residents through interactive sessions and clinical observership placements. The three-day program is held after the academic year end for first year medical students. The program is based in Vancouver, BC and includes distributed sites (Kelowna, Prince George, Victoria) where possible, depending on demand. Interactive sessions are video-conferenced to/from Vancouver and participating distributed sites. Clinical placements take place at various sites in Metro Vancouver and at participating sites throughout BC. The application period for the 2019 Immersion Program is now closed. We are thrilled by the success of our inaugural Psychiatry Summer Immersion Program. 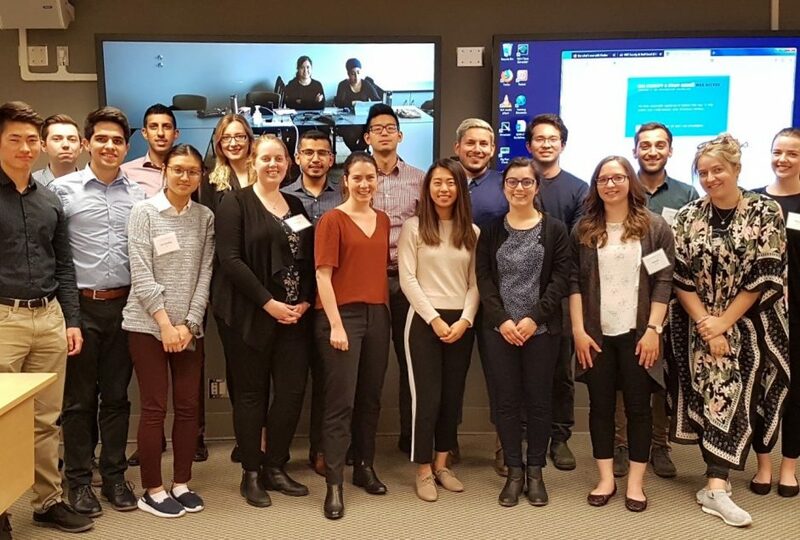 Twenty UBC medical undergraduate Year 1 and 2 students (including two who participated at the Prince George site) took part in half-day interactive sessions and half-day clinical shadowing experiences over the course of three impactful days in early June of this year. The interactive sessions allowed students to meaningfully engage with faculty and learn about subspecialties such as academic psychiatry, neuropsychiatry, forensic psychiatry, geriatric psychiatry, emergency psychiatry, child and adolescent psychiatry, and rural psychiatry. Hot topics such as ECT myth-busting and the opioid crisis added to the diversity of learning and discussion. Having psychiatrists and residents share their advice, experiences, and decisions along their career path proved insightful for these students, who are faced with making their own career choices in the near future. Many students cited the variety of shadowing experiences as one of the most valuable experiences of the program. Students were matched one-to-one or two-to-one with clinical faculty at major hospitals and clinics in Vancouver, Burnaby, New Westminster, Richmond, Surrey, and Prince George. No two days were alike as they found themselves walking alongside clinicians working in addictions, adult psychiatry, child and adolescent psychiatry, consultation liaison, emergency psychiatry, geriatric psychiatry, and neuropsychiatry. Students reported that they valued exposure to the diversity and variety of subspecialties in the field, with 100% of respondents declaring that the program was ‘extremely worthwhile’ or ‘very worthwhile’. We extend our deep thanks and appreciation for the tremendous contributions of the following faculty, clinical faculty, and residents, without whom the Program would not have been possible.